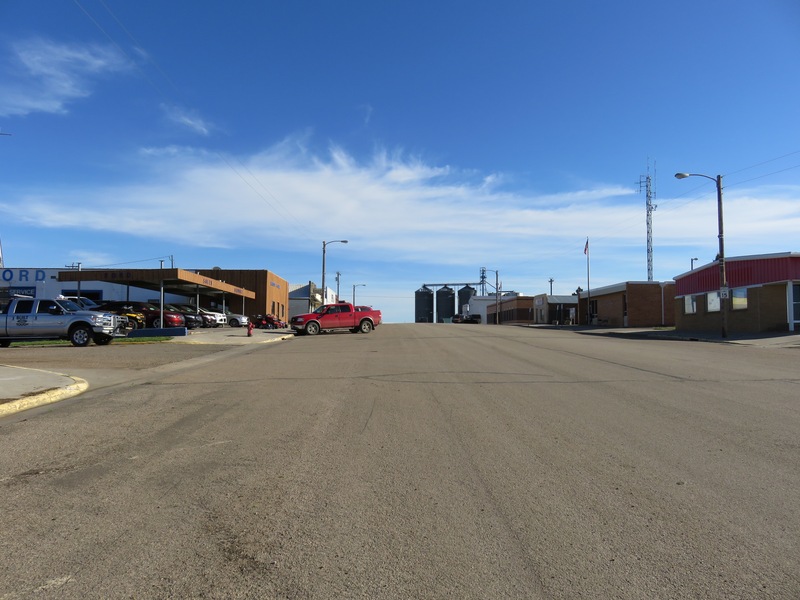 I grew up in a very small town (population 700) on the prairies of South Dakota. I was not aware of a wide disparity of classes at the time; but looking back, I see that there really were classes based on economic and racial factors. Since my town was situated quite near to several Indian reservations, there was often at least one native American in my class. In the second grade, it was Clifford Leading Cloud—14 years old and placed in the second grade. Needless to say, he towered over the 7-year-olds. No doubt this was why he was constantly stoop-shouldered and his demeanor was apologetic and shy. He was a wonderful artist, and I still have several of his drawings. “Clifford drew this for me!” I proudly wrote beneath two colored-pencil sketches in my scrapbook, but when I took them home to show them to my mother, she said, “Be sure to always wash your hands after you touch those.” Obedient at this stage of my life, I remember complying, but I was always puzzled about why. Since my name began with a “D” and our placement was always determined alphabetically, I sat behind or in front of all of the Native American kids who joined our class for a year or two before disappearing: Clifford Leading Cloud, Phoebe Crazy Bear, Nordine Fink (Who was my assigned “date” for Freshman initiation, but who somehow disappeared during the year.) Phoebe had very long black hair that I loved to brush during Geometry. (In spite of former warnings from mothers who told us to be careful not to contract lice from the “Indian” kids.) She was a good student, and I liked her dry sense of humor; but although I invited her to slumber parties, she never came and she, too, vanished by the end of our Sophomore year. I know there was a division in our community between the white population and the Native Americans, many of whom still lived in tents along the railroad tracks because it was federal land and the head of the railroad allowed them to live there free of charge. When I was given release time from study hall to teach P.E. and reading to first graders my Jr. year in high school, the sweetest and most beautiful first grader was another Leading Cloud—who, probably due to living in a tent with no bathroom facilities and no running water—had such a strong stench that it brought tears to my eyes to stand over her for long as I guided her in her reading. My mother attributed this to the use of “bear grease” in the hair, but I think she was a few generations behind in her thinking. The factors of difference in culture, living arrangements and economic factors divided us from the Native American citizens of our town so that aside from actual classes as school, they faded away into the environment in a manner that should have been impossible in a town as small as ours. They did not attend games, dances, or participate in any of the extracurricular activities of the school. They did not attend church or hang out in restaurants. I do remember my mother asking us to sit in front and back and either side of her when we went to the movies in White River, 32 miles away. Closer to the reservation, there was a higher Native American population and my mother, sensitive to smells, wished to take all proper precautions. My mother was not unkind. She fed any hobo who showed up at our door. She took boxes of clothing out to the dump and set them where foragers could easily find them. She also told me never to mention that clothing had been mine if any of the Native American kids showed up wearing one of my give-aways. But she was the product of an age where we had not yet thought to struggle against racial stereotypes. My father regularly employed seasonal workers from the reservation and even learned to speak some Sioux. He was a natural born storyteller who loved gleaning material from all and sundry and a broad-minded thinker. One of the few Democrats in town, he counted everyone among his friends–from his Hunkpapa Sioux employees to the Governor of the state. Yet, should the doorbell ring when my dad was not at home and if my mom were to see that it was someone from the reservation stopped at our house to ask for work on his way into town, she would tell us not to answer the door and would cower in the hallway out of sight. Again, I know my mother well enough to know it was genuine fear that prompted her actions, not meanness or hatred. There were two families of Sioux lineage in the town who did manage to bridge the gap of cultures. In one case, it was a handsome young man who was an incredible basketball player whose name revealed his mixed Sioux and French genes. He was the secret heart-throb of many a girl, and his sister, as beautiful as he was handsome, was a cheerleader and generally accepted, I believe, although they were enough older than I am for this all to be hearsay. It seems as though the major factor, then, that created a class structure in our town was one of culture coupled with economic duress. Yes, there were poor families in our town and many times they did not participate as fully in what little social life there was in our town, and yes, although I started out inviting everyone in my class to parties, in time the parties got smaller and the guest list included mainly those friends from my neighborhood or those I found to be the most fun or who participated in the same activities I participated in. This narrowing of social circles is natural, I think, but when I look at who was excluded, I don’t feel as though I used any criteria other than whom I enjoyed being around. I would have loved it if Phoebe had come to my slumber parties. She was smart and even then I had a curiosity about other cultures and other ways of life. I was the first friend of any new girl who moved to town—a fact that caused some resentment on the part of my old friends, I now see clearly. We all make excuses for ourselves when it comes to discussing our own prejudices, and I am no exception to the rule. Native Americans were stereotyped because the most extreme cases of behavior were the most obvious. The few women from the reservation who came to drink and lay sprawled in the street created the stereotype that all “Indian” women were “drunken squaws.” No one ever saw any of then mothers of the Native American children we went to school with. They were no doubt at home trying to scrape out a meal or school clothes for their children’s next next day at school. And their fathers were probably out working in the fields for our fathers. But we did see the drunks on the streets every Saturday night as we exited the movies, and so this is the stereotype that formed in our minds, no matter how much our actual experience with kids at school rivaled that stereotype. Many years ago, I started to write a book called “Vision Quest” about a young Native American boy who grew up in our town. This was a work of fiction, but I drew of course upon actual experience for details of plot. I know I came back to it at least twice, but never got beyond the first few chapters, probably because I had so little experience to draw upon; for in spite of the fact that I grew up in a state that contained numerous reservations and in spite of the fact that all of the surrounding towns contained a Native American population, in fact our cultures were so widely divided that I had as little insight into their lives as they must have had into mine. The term “Native American” had not been coined when I last lived in my hometown, and neither had the sensibilities that I hope go with it. When Dennis Banks and Russell Means were heroes to much of the rest of the world, they were outlaws and trouble makers to those non-Native Americans who lived in their midst. To someone stopped from driving on highways where they had always driven, they appeared to be highwaymen or brigands. It is hard to make a hero of someone you grew up feeling superior to, and hard not to stereotype any race or cultural group according to what you know about the few representatives of that group with whom you have come in contact. But I have to say that coming back to my town and hearing one of the supposedly kindest and admittedly hardest-working members of the church I grew up in describing the wife of a local boy as a “N—–” and scathingly speaking of the Native American Rights movement of the seventies made me take a really long look back at my own past as well as to reappraise my former affection for this woman whose small-mindedness revealed itself at a time when I myself was in love with an African man, teaching African children and living with African housemates. The last time I visited my hometown, I did not go to see this lady and by the time I next went, she had passed away. Hopefully with the demise of these last citizens of the old ways, prejudice will pass away with them. I am afraid, however, that prejudice is born anew in each generation—perhaps towards yet a new group of immigrants or transplants who threaten the so-called “American Way of Life.” It would do us all well to remember that America was meant to be a melting-pot, and as in any recipe, it is made more palatable by a variety of spices. This is a reprint of a piece from two and a half years ago. The prompt today is reservation. This entry was posted in South Dakota, Uncategorized and tagged Daily Post, Daily Prompt, Growing up in South Dakota, images of south dakota, Native Americans, racial stereotypes, reservation, South Dakota on January 2, 2018 by lifelessons. In the wide prairies of South Dakota, the only narrow to be found is the narrowing of the road in the distance. It is a bit like perpetually driving into an invisible tunnel. This entry was posted in Photos of Roads, pictures of roads, Roads, South Dakota, Uncategorized and tagged images of roads, images of the prairie, Murdo, Perspective, prairie, Roads, South Dakota, Wordpress Weekly Photo Challenge on July 31, 2016 by lifelessons. There’s a lot of land out west, but. 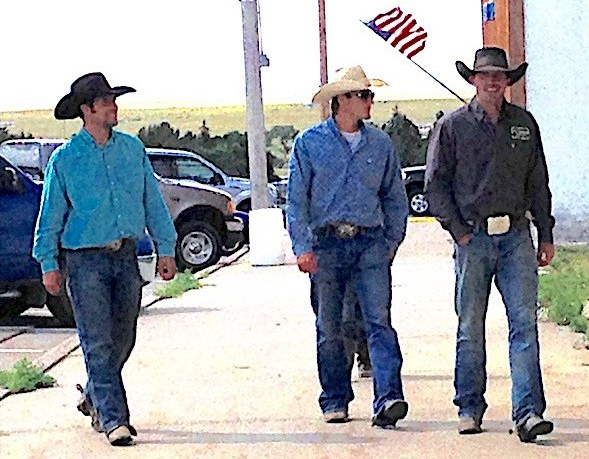 . .
without cowboys, it ain’t country!!! 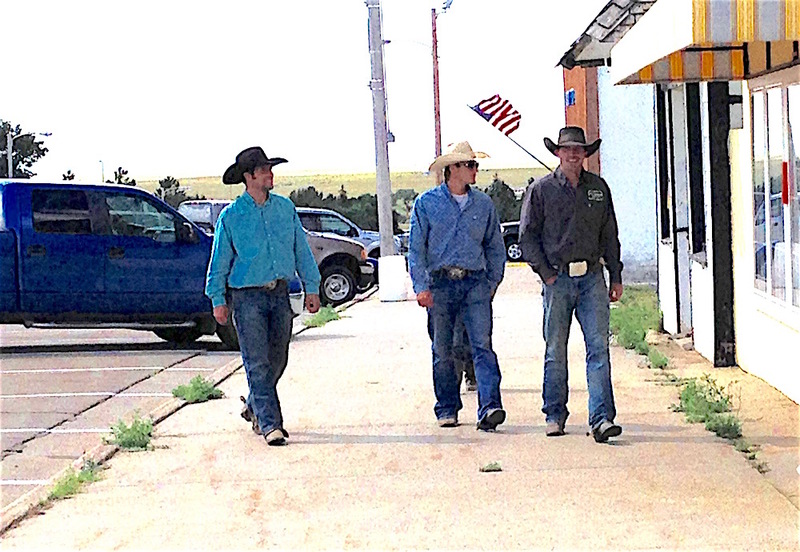 This entry was posted in South Dakota, Uncategorized and tagged Cee's photo a week., Cowboys, image of cowboys, image of Murdo, Murdo, out in the country, South Dakota on July 19, 2016 by lifelessons. we used to call it wild mustard. and that summer smell, cloying in its sugared perfume. brown stubble had peeked through blown snow. tended to be cash crops or cattle feed. as we proffered it to them by the handful. Fragile chains we draped around our necks and wrists. that wilted as fast as we could pick them. then quickly closed to the miller moths. and assurance that all our parts worked. like a large moth determined to get out. that our hearts could break, too. at cars full of girls. that heavy ache of sweet clover. The Prompt: The Transporter—Tell us about a sensation — a taste, a smell, a piece of music — that transports you back to childhood. This entry was posted in Flowers, memories, Memory, Poem, Poems, Poems about flowers, Smells, South Dakota, Youth and tagged Bittersweet, childhood memories, Daily Post, Daily Prompt, flowers, High School memories, Judy Dykstra-Brown, Judy Dykstra-Brown Poems, Judy Dykstra-Brown Poetry, memories, poem, Poems, poems about plants, Poetry, South Dakota, Sweet Clover, Wordpress Daily Prompt on February 10, 2015 by lifelessons. The Prompt: Cue the Violins—If your life were a movie, what would its soundtrack be like? What songs, instrumental pieces, and other sound effects would be featured on the official soundtrack album? This entry was posted in Memory, Music, Music Titles, South Dakota, Youth and tagged Daily Post, Daily Prompt, family memories, Judy Dykstra-Brown, memories, The Daily Post on November 21, 2014 by lifelessons.